You’ve decided to join the ranks of runners by beginning your first running program. Soon you’ll be trying to figure out which race to tackle next and finding ways to get creative with your monthly budget to fit in some more running gear purchases. Your most important gear, though, will always be your shoes. To discover the best running shoes for beginners, read through our guide and see our recommendations to start you on your way. Can’t I Just Use Any Athletic Shoes? Welcome to the fold! You’re joining a sisterhood and brotherhood of people who all understand that crazy desire to wake up an hour before your alarm goes off to get in that morning run before it gets too hot. On top of that you’ll be lacing up your sneakers and heading out into cold temperatures in the winter that will make you wonder if you’re crazy. Soon, you’ll also understand the importance of using the right running gear -- items that are specially made to make runs safer and more enjoyable. Whether you’re beginning a running program for your health or to keep up your fitness level, your shoes will be crucial to your success as a runner. Good shoes can make the difference between getting injured on a run or getting through it with flying colors. They can help you reduce or completely avoid blisters. Your feet won’t be as sore with properly fitting, high-quality shoes. They can help you avoid injuries by giving you adequate cushioning and support. The right running shoes can elevate your performance to the next level. While it isn’t fun to spend extra money, especially if you’re on a tight budget, running shoes are one area you don’t want to skimp on. They can save you a lot of money in the long run if you avoid injuries. Plus, just by getting into shape by beginning running, you may ward off future costly health problems. Selecting shoes can be intimidating. You don’t want to look foolish when confronted with terms you don’t understand the importance of, like pronation and heel-to-toe drop. You know that if you get something wrong and end up hating the running shoes you’ve picked out that you’ve just wasted an enormous amount of money. Because, let’s be honest, running shoes are expensive. 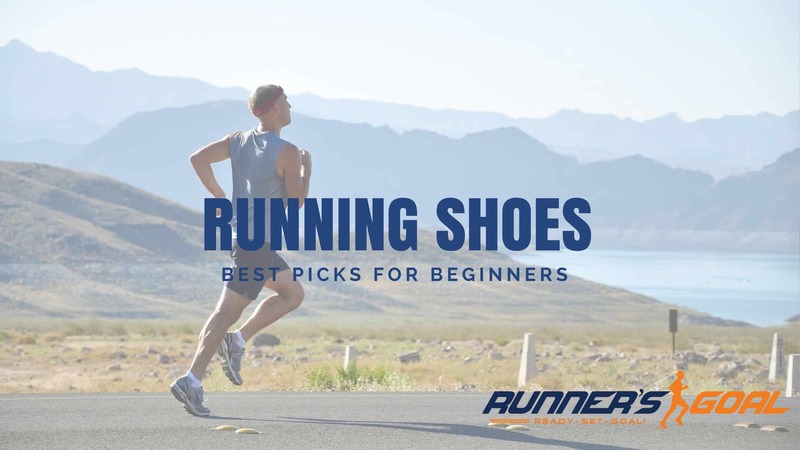 There are so many terms and types of running shoes available that it can be hard for a beginner to figure out what will work best for them. Here are some ways you’ll be able to narrow down your search for your first pair of running shoes. Know your arch: You’ll need to figure out if you have flat feet, a medium arch, or a high one. Give yourself a test by getting your feet wet -- literally. Walk your wet feet onto a sidewalk and look at your foot imprint to find out. Determine how your foot moves: When you walk or run, does your foot roll inward or does it roll outward? Outward rolling, called supination, can cause injuries like sprained ankles while inward rolling, called pronation, won’t hurt you much unless it’s excessive. Knowing this information will help you determine if you need neutral, stability, or motion-control shoes. Figure out which weight you’re comfortable with: Some running shoes are lighter than others and every runner has their own preference as to what weight is best. I can’t stand to run in heavier shoes––I feel like I’m running through molasses and my legs get fatigued quickly, which means I end up running fewer miles. Neutral shoes tend to weigh less than stability or motion control shoes. If you’ve had prior injuries: If you have any reason to believe you’re at a higher risk of injuries or you’re particularly worried about beginning your running program because of possible injuries, consider getting two pairs of running shoes. Alternating two different running shoes for your runs can cut down on your risk of injuries. Go for mid-range cushioning: Some runners prefer minimalist shoes that have very little cushioning. Others like as much cushioning as they can get in a shoe. As a beginner, start with a middle-of-the-road level of cushioning and see how a happy medium treats you. Go a size up: Running shoes should be slightly bigger than your everyday shoes. A good rule of thumb is to go one-half to one full size bigger than you normally would. Sometimes feet swell when you’re running and, even if they don’t, if you’re running downhill, your toes can get uncomfortable getting pushed against your shoe. Remember to replace them: Once you find the perfect pair of shoes make sure you replace them periodically, even if they still appear to be in good shape. If your shoes feel like they’ve lost their bounce, it’s time to get a new pair. Most running shoes need to be replaced every 300 to 500 miles. 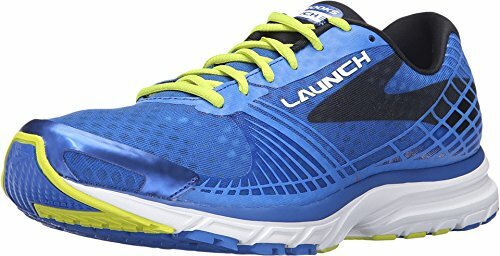 These running shoes are good for a number of terrains, which will let you dabble in shorter runs on a variety of surfaces to figure out what kind of running you like best. You can try out road running, use a local track, or hit the trails with this versatile shoe. This shoe has a sockliner that can be removed if you don’t want to use it. It has rearfoot gel cushioning, which lessens some of the wear and tear you’ll feel as a new runner. These shoes have great uphill and downhill traction, which will keep you from any stumbles if your downhill speed gets out of control in the beginning. They have great tread if you don’t want to skip your planned run just because it starts raining. 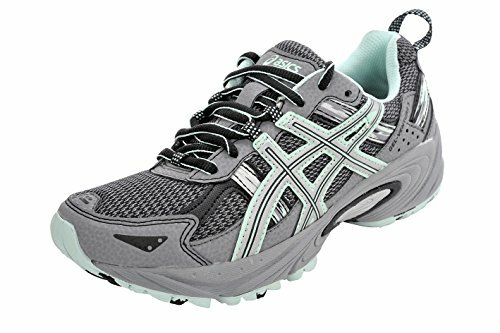 This is a comfortable shoe for both walking and running, which is important for beginners who will likely alternate between the two for several weeks. They have a loop on the back of the shoe, which helps you slip them on if you don’t feel like untying them every time. Your feet will probably feel too hot in these for summer runs. These shoes are a bit stiffer than some others you could buy. Successor to the Launch 2. For runners who feel strongly about supporting the American economy, this shoe is made in the U.S. so they can feel as good about buying it as they do running in them. These shoes have great cushioning to protect a beginner’s foot from the aches and pains they may feel when they begin their training program. They come in a wide selection of colors. These shoes will help your feet stay dry because of the moisture-control measures they use. They’ll feel springy, responsive, and fast during your run. The heel crash pad may help you avoid sore feet the day after your runs. These shoes will do well even on wet roads and courses. Your toes won’t be crowded in this shoe, so you might dodge issues with blisters and toe pain. These shoes will hold up well even after heavy use. These may not be comfortable enough for people with wide feet. You’ll need to order up because these shoes aren’t true to size. This neutral running shoe will keep the air circulating around your feet, even during hot runs, with the breathable mesh it’s made with. The nice thing about this shoe is that it has plenty of room in the toe box, which is great for avoiding blisters and toe pain––it’s hard enough to start a new running program without worrying about that. If you need orthotics to correct problems, they’ll fit in these shoes. If you like arch support, these shoes deliver. Runners who struggle with shoes that feel too narrow will love how roomy and wide these feel. You get three colors to choose from. These shoes feel comfortable from the first time you wear them. The cushioning in these shoes is nice, especially on the heels, which is great for people who are worried about plantar fasciitis when they run. If you like narrow shoes, you will probably feel like these are too roomy. Severe overpronators should look for a different shoe––this one won’t be the best for them. The fresh foam midsole is one of the features that really makes this comfortable shoe stand out. If you’re looking for a light-feeling shoe that will hold up to the rigors of a long run, you should consider this shoe. You’ll get great speed with these shoes––they won’t weigh you down and the toe spring is made with speed in mind. This shoe offers a good selection of colors, whether you’re looking for a brighter color or a more muted one. You won’t need to break these shoes in––they’ll feel good on your feet from your first run. They should hold up well until you reach the 300 to 500 mile mark, which is when you should replace them. The fresh foam of the shoe will feel softer the more you use them. They run a bit small, but they will stretch a bit over time to give you more room. Some runners felt these shoes were a bit too narrow. 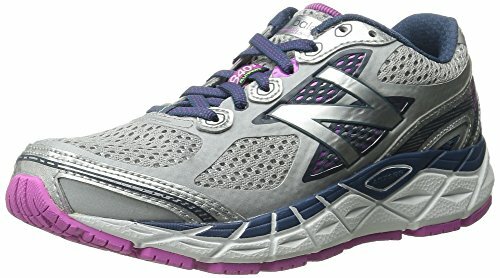 This neutral pair of shoes is a good pick for beginner runners who want to feel like they are barely wearing shoes. At 9 ounces, they are so light and responsive on your feet that they’ll help you run as fast in the beginning as you are capable of at this point. 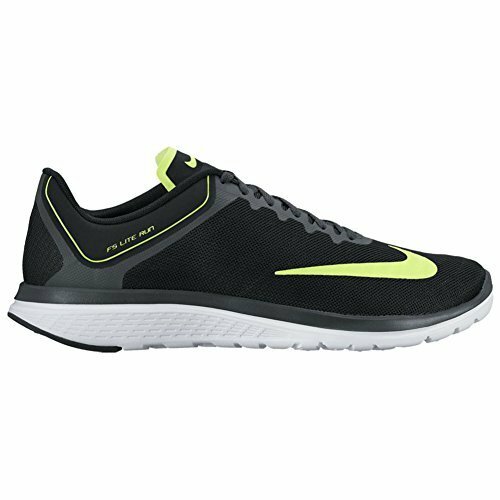 If you are focusing more on speed than distance as you begin running, this lightweight shoe is a good choice for you. They get good traction in case you do hill runs or like to run in the rain. Breathable mesh on the shoe keeps your feet feeling cool even when you’re working up a sweat. They’ll feel comfortable, even if you wear them all day. They have a supportive sole, which is good for beginners. These shoes are flexible and they’ll be responsive to your every move. These don’t offer much ankle support. Compared to other Nike shoes, these seem to run a bit big. Unless you have wide feet, Brooks’ Launch 3 is the best running shoes for beginners. The cushioning on these shoes will help cut back on any aches or pains that may make you want to drop a running program in the early weeks. You won’t have the discomfort either of sweaty-feeling feet when you’re running with these. You’ll feel like these shoes are springy enough to follow your every motion. These shoes will hold up well mile after mile and they’ll feel comfortable too if you need to take walking breaks as you work to increase your distance. What's your running goal? Select your race distance below and we'll send you a FREE personalized training plan to get you ready in 16 weeks or less! Enter your email address below and Start Training Today!! !